Bee's Circus: 620. Dinosaur Week. The second week of summer's over already! I'm pretty happy so far, we've kept busy and tried a few new things, and some old favourites too. 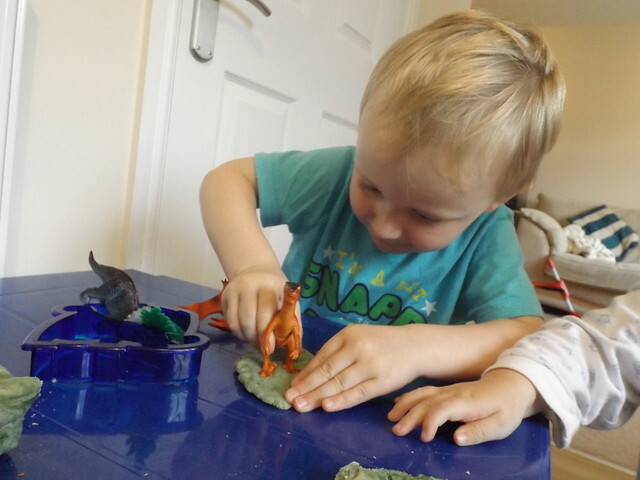 Following on from last week, we chose dinosaurs as our theme for this week. 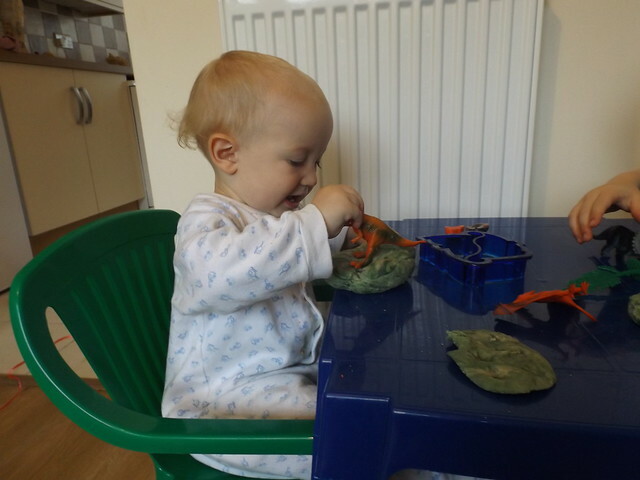 All toddler boys love dinosaurs, right?! We went to the library and got a ton of books about dinosaurs, stories and non-fiction, even the librarian commented on our clear obsession! 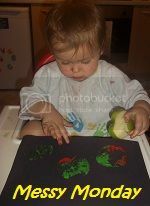 I found an awesome resource, Pre-K Packs from Over the Big Moon and printed out a few pages to try with Daniel. 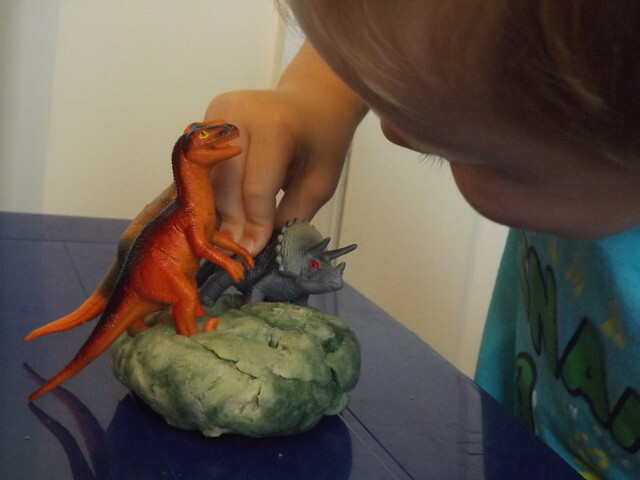 I couldn't resist buying some turkey dinosaurs for dinner, the boys loved them! 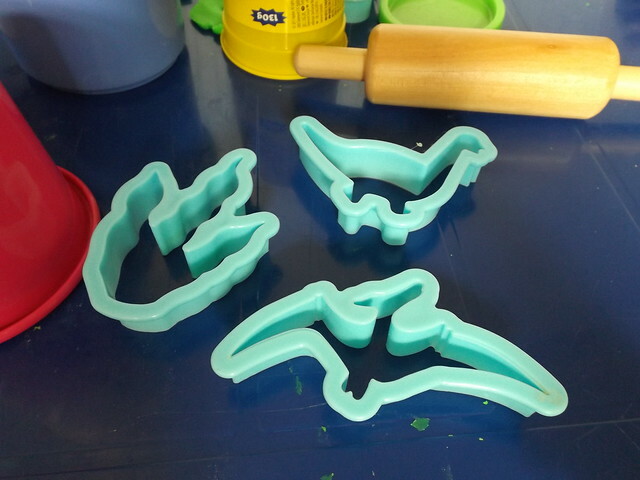 We did a little dinosaur sensory in the sand too, which I'll post some pictures from later this week. 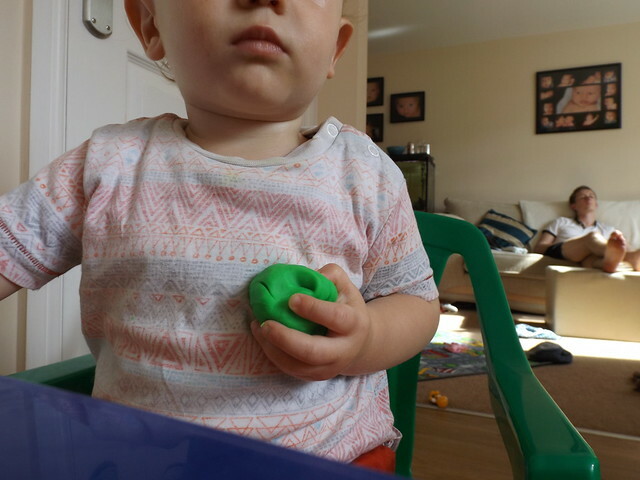 We made playdough (I won't link the recipe we used because I wasn't overly impressed, it seemed to dry at first but that may have been because I over-cooked it, the boys played with it okay but when I came to get it out of the container after two days it was all sticky! 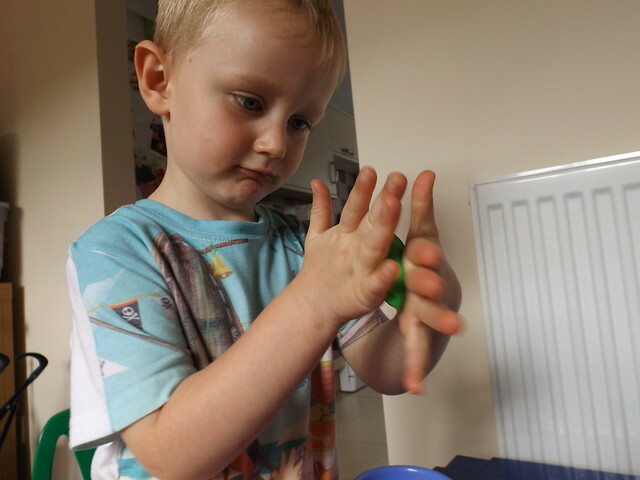 ), Daniel loved helping me pour the ingredients into the bowl and mix with his big spoon! 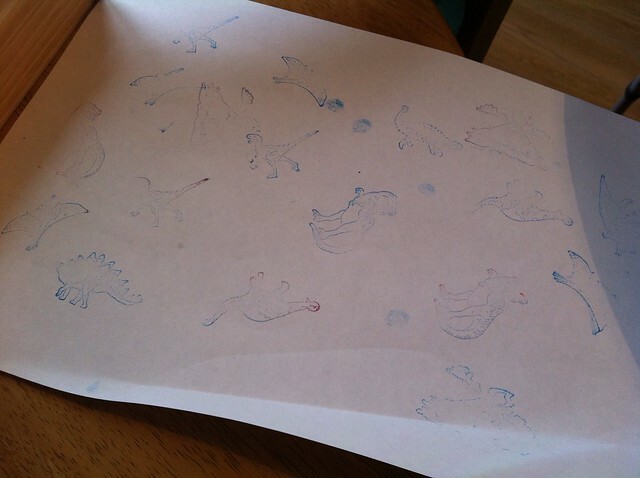 Daniel grabbed a dinosaur sandwich cutter to use and I put some plastic dinosaurs on the table. 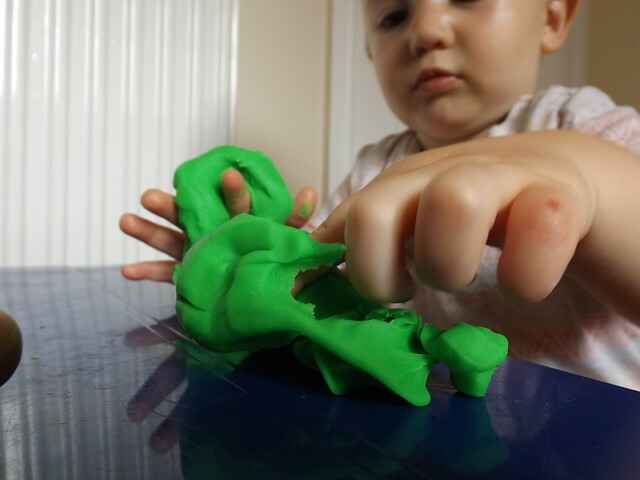 I showed Daniel how to make impressions with the dinosaurs feet, which he loved, and of course Joshua tried to copy us too. They had a great time with this, and were sad to pack it away after nearly an hour! 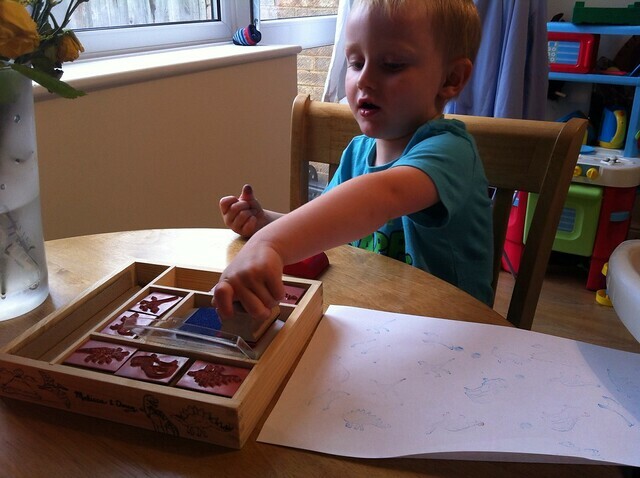 We did some stamping with these Melissa and Doug dinosaur stamps. 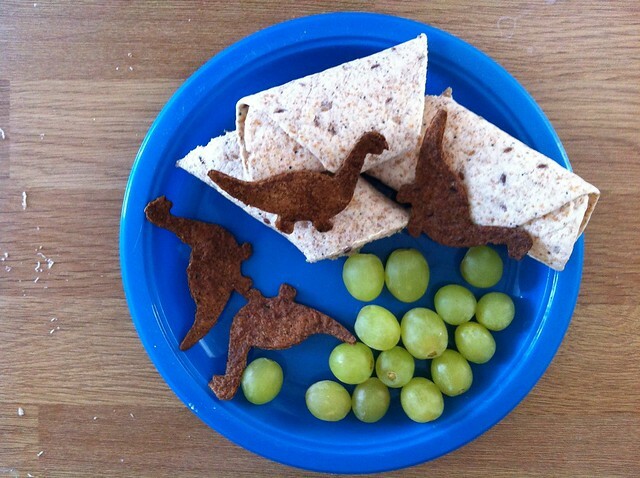 We made dinosaur tortilla crisps. I may have burnt them a little. I used a dinosaur cutter to cut them out from a seeded tortilla wrap, and put them on a baking tray sprayed with oil at 170 degrees Celsius. I left them for 12 minutes, which was apparently too long. We also baked "mud brownies" for our play date, but I forgot to take pictures! 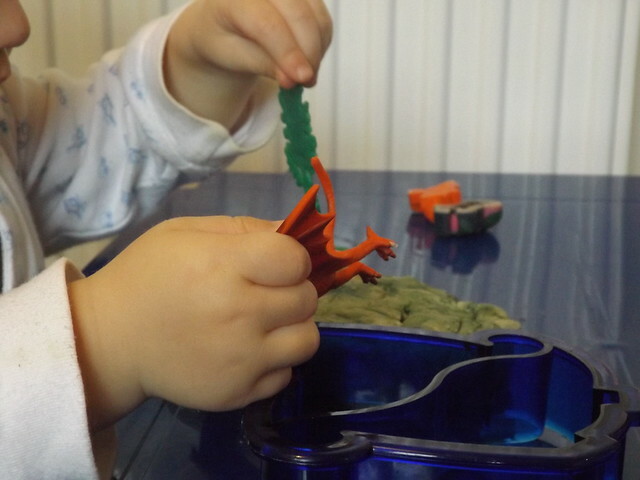 Playdough was a hit so we got out some dinosaur cutters too, and a rolling pun and some cups. 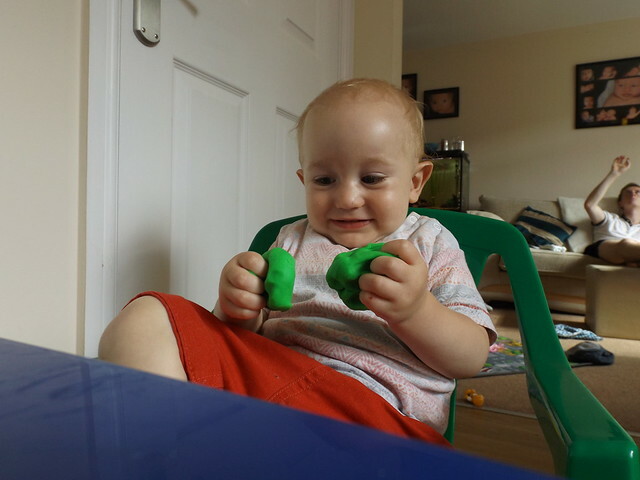 Daniel wasn't so keen on the Mama-razzi, and Joshua wasn't exactly using the cutters as intended but he was hilarious squeezing the playdough!